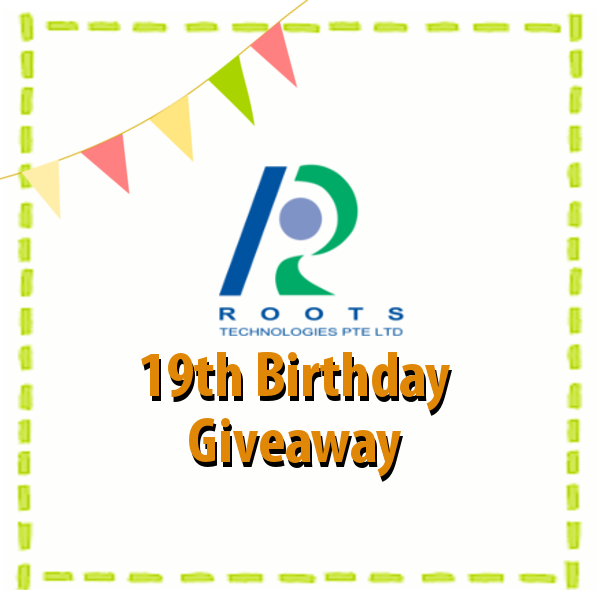 Home / Roots All Natural / Roots Technologies 19th Birthday Giveaway Contest! March is the birthday month for Roots! To share our joy with you, we will be giving away a total of 19 sets of prizes! 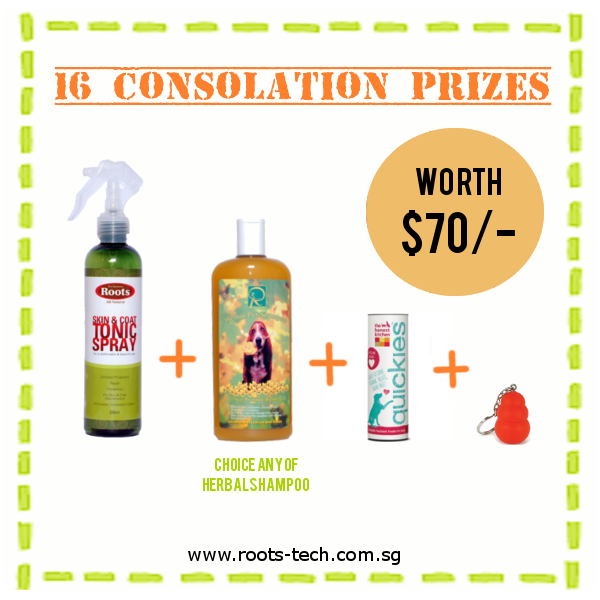 And to top it up, each Grand prize is worth $300/- and $70/- for the Consolation prizes! What attractive prizes are we lookin’ at? KONG Dynos dog toy (Small) – one of the latest arrival in town! Not to worry! There are many goodies for the consolation prizes too! 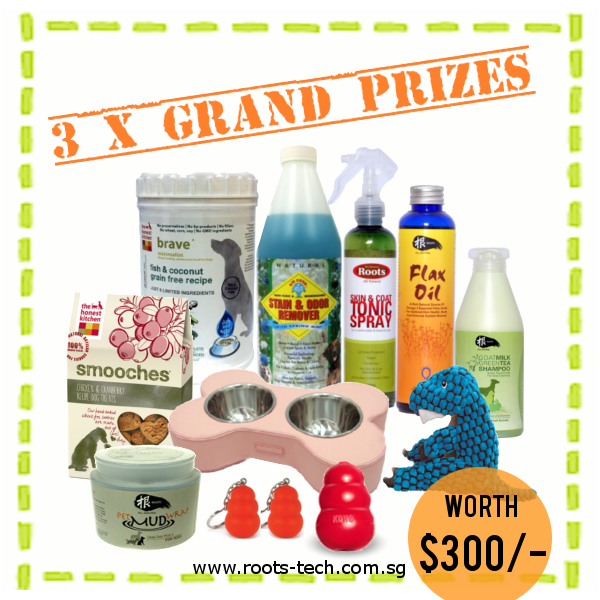 Our contest runs from 1st March – 31 March 2016, 11.59pm. 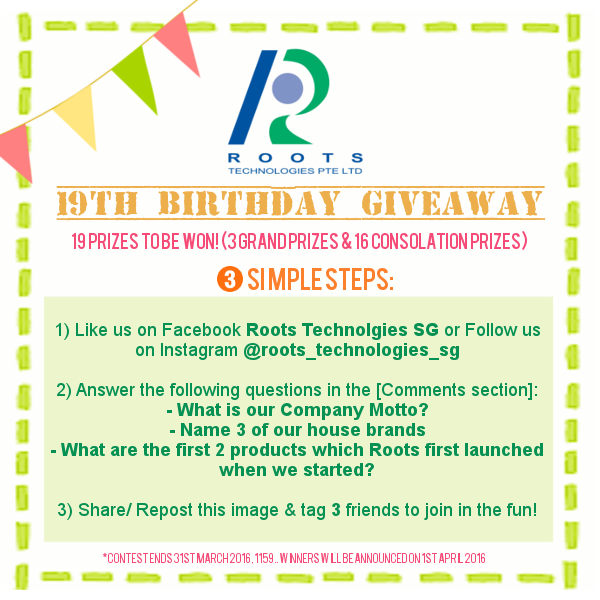 Winners will be announced on both our Facebook page and Instagram account – @Roots_technologies_sg on 1st April 2016. 3 participants with all correct answers will get the grand prizes (In the event that there are more than 3 pax with the full correct answers, winners will be selected via balloting), the subsequent participants with the highest number of correct answers will get the consolation prizes.